Regardless of how much or how little you plan to participate, please sign up to let us know you are using the program! To sign up for the Oklahoma Green Schools Program, please complete all fields in the application form. 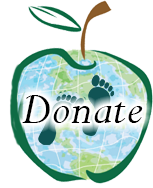 Organize a Green Team to oversee your school’s green schools effort. Suggestions for Green Team members include: teacher coordinators, facility/maintenance managers, administrators, PTA reps, food service/health professionals, counselors, and students. If you participated in the past, what year were you last active? Please list the name and email for an administrator that supports your involvement in the Oklahoma Green Schools Program. Click here to sign up for the OK Green Schools Listserv. Sign Up Now (opens in a new window). Please tell us how the Oklahoma Green Schools Program will be utilized in your school.